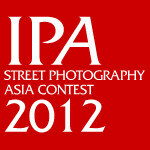 We had over 1,500+ entries with over 4,500 images from all over Asia. 22 finalists were selected and these are the Official 2012 WINNERS. Jashim Salam from Bangladesh takes top Position and is winner of our Grand Prize! Congratulations to all the finalists too. Big thanks to the judges and everyone who participated in this year’s contest. Galing ng Pinoy Photographer. Congratulations, Nacho Hernandez. Really impressed by the selection. Congratulations. Congrats to winners! What a great images!!! Fantastic to see so much new talent being featured. Big ups to you guys at IPA for giving them a voice! Congratulations to Jashim Salam and the other winners. I also very much enjoyed the photographs of Shin Noguchi and Arthur Quejadas Jr. Nice work all around.